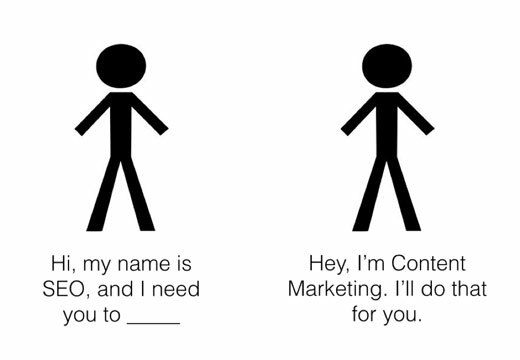 Content marketing is an integral part of marketing in present times as it is one of the most effective ways to reach out to your target audience. 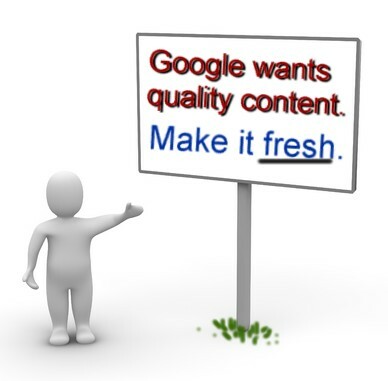 Therefore, every business requires quality content to achieve success when it comes to online marketing. Generating great content is not only entertaining- it also holds the attention of your audience, increases traffic on all social media platforms and ultimately brings good business. Your ideas and content should be nothing but original, else the audience will not be interested in what you are saying. Standing out in a crowd is only possible when you have something unique to share. When your content has a voice of its own, people are attracted to it and want to know more about it. Moreover, the tone of communication needs to be aligned with your brand persona and the target audience to make the right connect. While 80% of people read the headline of a blog/article, only 20% actually click on the link and read the entire article. So, the importance of a headline should never be underestimated. Always take time to write an interesting headline as that is always the first thing people read and based on it, they decide whether to read the entire article or not. Along with the headline, also include a few lines of well-written content from the blog to pique your audience’s interest further. When you are writing content and publishing it on a website, remember that thousands of people from all over the world are going to have access to it. With such an audience, you cannot afford to provide inaccurate information. It hampers your personal reputation and if you are writing for a company, it will negatively affect the brand and its products. If you are providing any statistics or data, verify through a genuine source- one that is preferably not wikipedia. Providing the link of the source of your information is a good thing to do if you want to increase reliability of your article. Just make sure that it is a trusted source. A picture can speak a 1000 words and a lot of people understand better when they see images. Using pictures, graphs, diagrams and videos can help you get across your point more clearly. Adding pictures also cuts out the monotony of only text and keeps the audience interested in what they are reading. One thing to keep in mind is that only images and videos that are relevant to the content and add value to it should be included in the article. Unwanted and irrelevant illustrations will do more harm than good. While writing an article, you should have basic knowledge about the keywords related to your topic of choice and include them in your blogs and articles. Incorporating the right keywords will attract more readers and at the same time add Search Engine Optimization (SEO) value to your content. You can optimise the search results for your content by taking help of various strategies available for SEO. Good title tags as well as meta descriptions can further improve your blog visibility and keep it in sync with all social media interactions. Too many flowery words and unnecessarily long descriptions will keep your audience at bay! A brief and to-the-point article that is both interesting and informative is always a winner compared to lengthy ones filled with superfluous vocabulary. Clear and straightforward content with simple and short sentences is easy to read and comprehend. 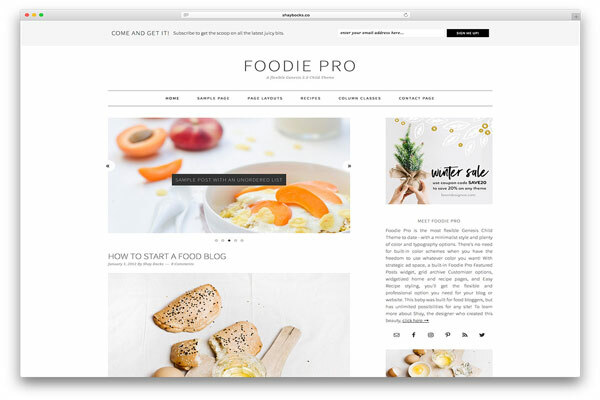 If you are publishing content to increase brand awareness, your blog should not only provide information to your readers, but also benefit them in some way or the other. Using fluffy and flowery language will only confuse the readers, not help them. To err is human and so, reviewing and spell-checking content before publication is of extreme significance. When you are done with the first draft, recheck the content. Run a spell check and also use free grammar tools available on the Internet for a full-proof check. 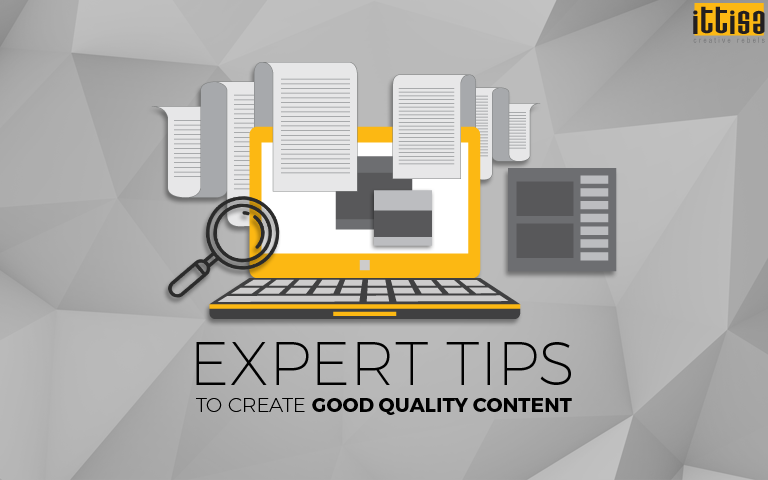 Reviewing, editing and refining your content only makes it that much better. Have someone read your article and give their opinion to be doubly sure. Follow a 90-10 rule – 90% of your content should be informative and educational whereas 10% should be promotional. You lose the interest and trust of your audience if your content only sings to a promotional tune. Instead provide helpful information and try and add value to your reader and then slip in a line about your services. That way, your advertising will come across as helpful and not as a promotion gimmick. Writing content is easy, but writing great content is what matters. Be it for your personal hobby or for business purposes, it is important that you do it right. To know more about how good quality content is great for your business and how Ittisa’s content marketing services can help you in this regard, drop us a message and we will get back to you! This is awesome. 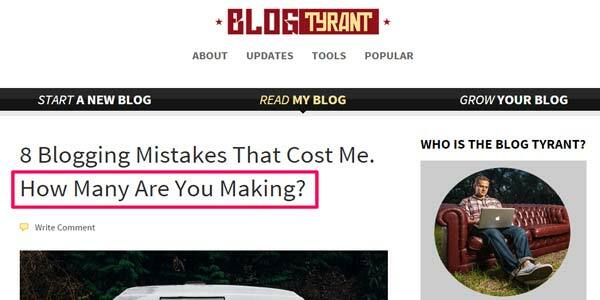 Another point which I think is crucial is that one should study the competitor’s articles on the same topic before starting off with the blog. That way, it’ll be easier o figure out how my article can be better.